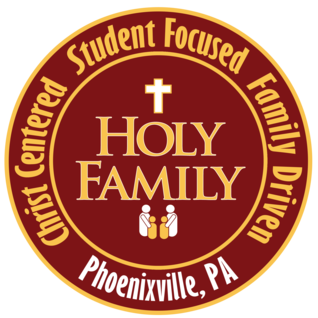 Holy Family School is an academically rigorous, faith-based National Blue Ribbon School for preschool through 8th Grade in Phoenixville, Pennsylvania. Holy Family School accredited by the Middle States Association Commissions on Elementary and Secondary Schools. Our most recent re-accreditation is valid until 2021. Holy Family School is proud to be recognized as a 2016 National Blue Ribbon School. In 2016, our school was one of 50 private schools in the nation to receive this honor. Please visit our Blue Ribbon School page for more information about this honor.